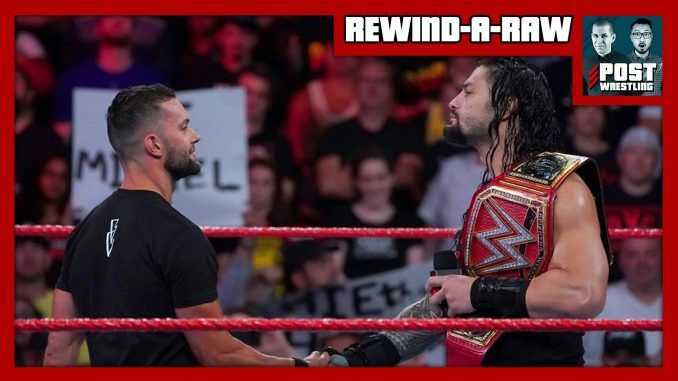 Finn Balor challenges new champion Roman Reigns as Braun Strowman and his MITB contract await, Stephanie McMahon’s coronation of Ronda Rousey doesn’t go as planned, Triple H tells us why he’s facing The Undertaker one more time. We also discuss TODAY’S TOP STORIES including GLOW being renewed for a third season, and NJPW announcing matches for their Long Beach, Destruction and King of Pro Wrestling shows. Plus, Café feedback, comments & questions from the POST Wrestling Forum.